While known primarily for its pristine coastline and beaches, San Diego boasts some of the world’s most beautiful parks. Visitors to our La Jolla hotel can take advantage of the opportunity to enjoy the outdoors and an array of natural settings. Cabrillo National Monument Californian 1800 Cabrillo Memorial Drive, San Diego, CA 92106 Cabrillo National Monument offers a superb view of San Diego’s harbor and skyline. At the highest point of the park stands the Old Point Loma Lighthouse, a San Diego icon since 1854. A statue and museum in the Visitor Center commemorate Juan Rodrguez Cabrillo's exploration of the California coast. Ellen Browning Scripps Park Ellen Browning Scripps Park La Jolla, CA 92037 Directly across the street from Pantai Inn, Ellen Browning Scripps Park is lined with palm trees and offers a wide open lawn that is perfect for outdoor activities and picnics. 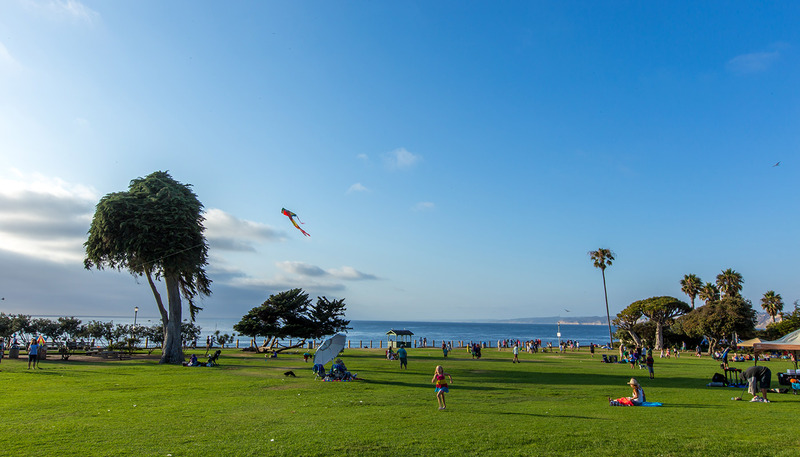 Scripps Park provides access to local beaches including Children’s Pool to the west and La Jolla Cove to the east. Mission Bay Aquatic Park Californian 3448 Crown Point Dr., San Diego, CA 92109 Mission Bay includes 27 miles of shoreline with numerous parks, beaches, islands and coves and restaurants. A haven for outdoor sports enthusiasts, activities such as bike riding, kayaking, surfing, boogie boarding and sailing, there truly is something for everyone. Torrey Pines State Park Californian 12500 North Torrey Pines Road, San Diego CA 92037 Torrey Pines State Park is dedicated to preserving the Torrey Pine tree and other wildlife. Offering cliff-side hiking trails, sandstone canyons and pine forests, the park provides spectacular views of the Pacific Ocean and the chance to see migrating whales.